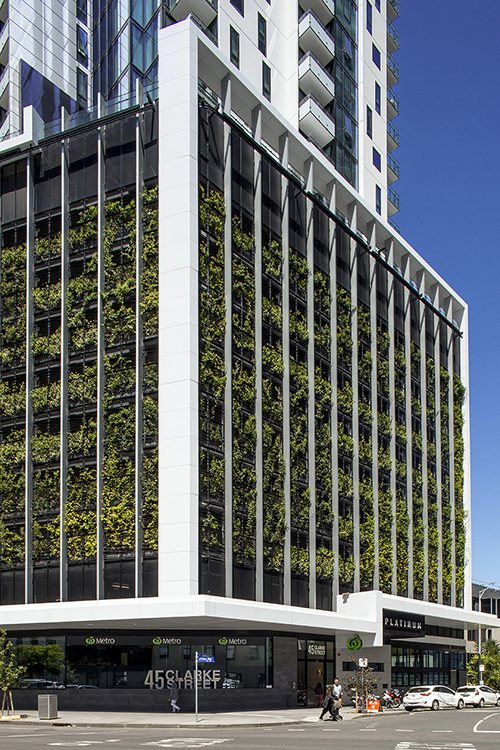 Large scale green facades are rarely easy and straight forward, it is almost like waiting for the planets to align. 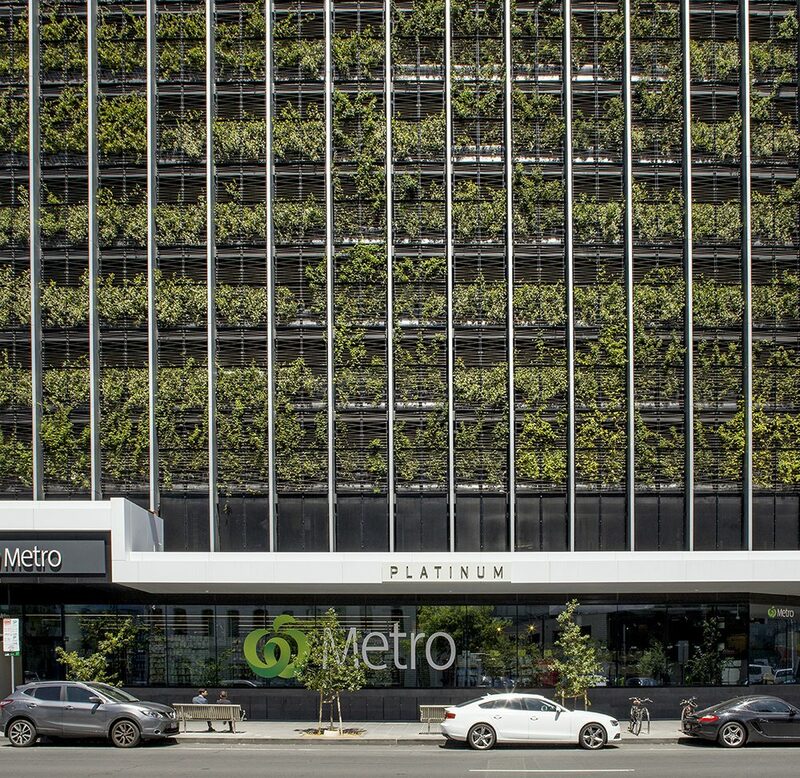 For Platinum Tower in Melbourne it took a concerted effort from Tensile, Fytogreen and landscape architects Aspect Studios to realise the 1700m2 green facade. Spanning between levels 2 to 10 the green facade is made up of 203 bays that wrap the podium north and east facades. 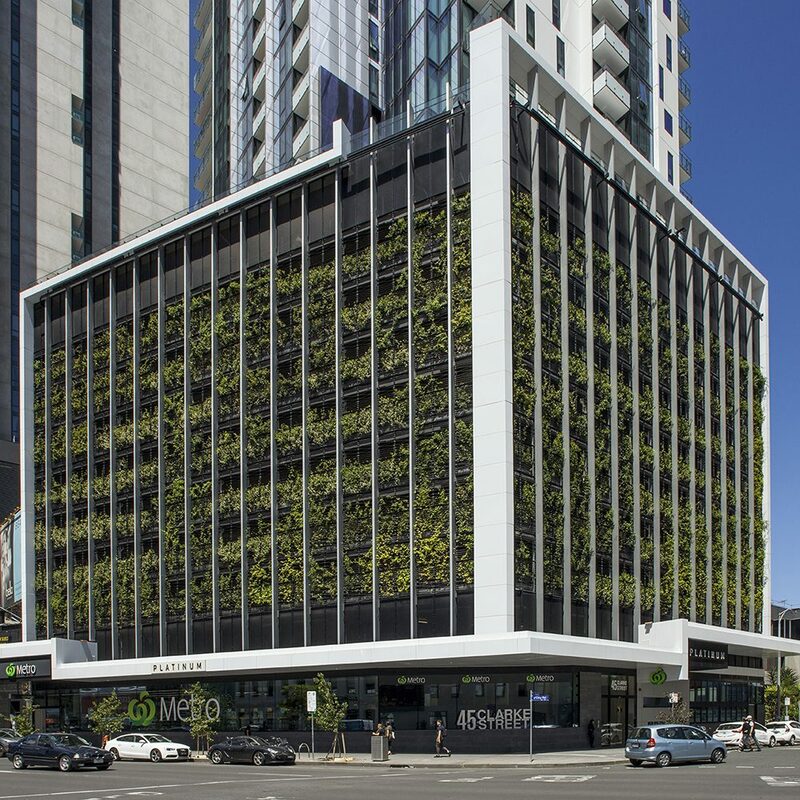 Working closely together Tensile and Fytogreen were able to develop and pre-grow system that enabled the climbers to be grown off site for 9 months. This enabled the 5 species of climbers to come to site providing 50% coverage from day one of installation. 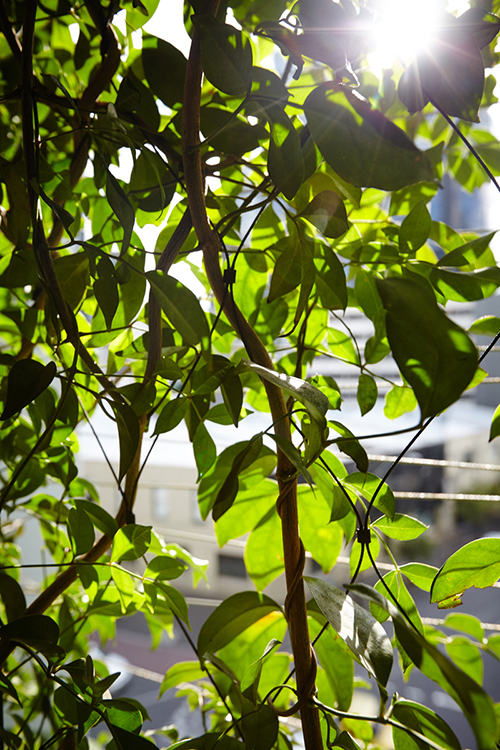 The cable system is made up of 3mm stainless steel wires in a custom zig zag pattern pre-made onto black powder coated frames. 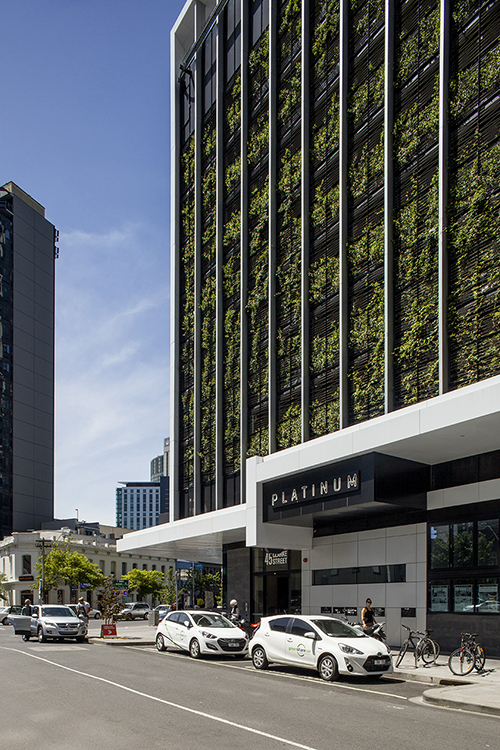 With much of the work occurring off site the facade went in over the space of 2-3 weeks with planters installed using a forklift. Like many of the projects Tensile works on it is the work that happens before site and the collaboration with the project team and consultants that makes it a success. 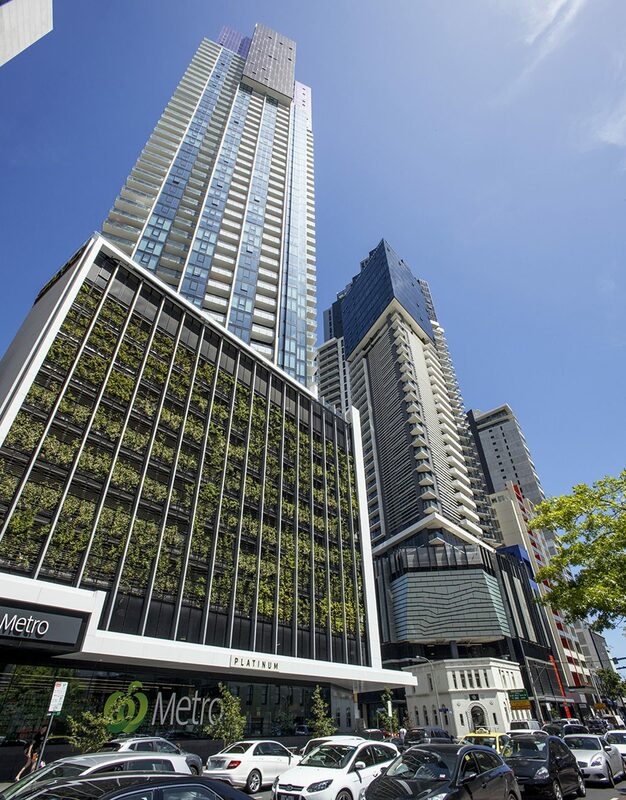 Multiplex, Aspect Studios and Fytrogreen were all integral in the success of the Platinum Tower green facade. 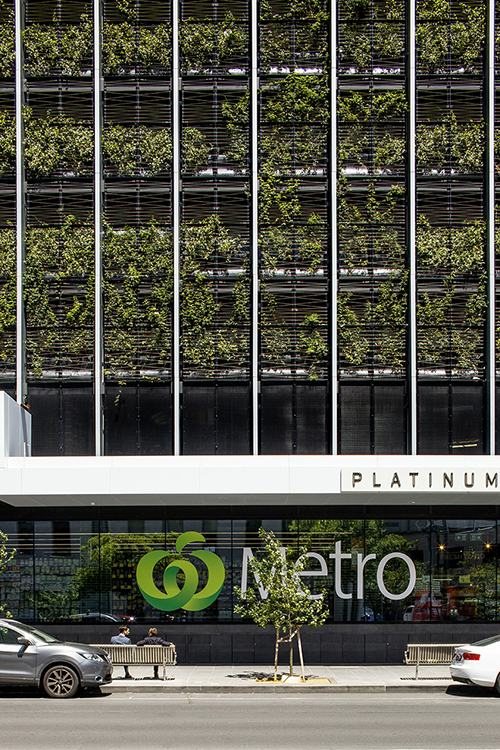 The building we go on to become an iconic project for Melbourne showing that large scale green facades are possible.